In honor of the running of the 139th Kentucky Derby, the Lee Park Junior Conservancy hosted the 5th annual “Day at the Races” on Saturday, May 4, 2013 at historic Arlington Hall at Lee Park. The “Day at the Races” event is a way for the community to come together to raise funds for the preservation and conservation of beautiful and historic Arlington Hall as well as the further development of Lee Park. 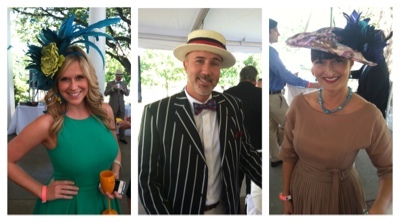 Classic Kentucky Derby Chic was the attire and great Southern Cuisine, Mint Juleps, cigar rolling, live entertainment, dancing, silent auction, and race day gaming made the event a spectacular day. 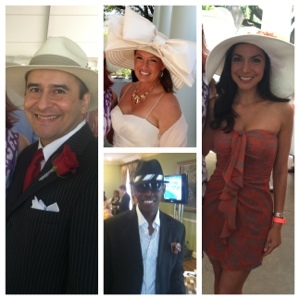 I was thrilled to be a judge in the "Best Hat" and "Best Dressed" contests along with Blake Stephenson, Publisher, Modern Luxury Dallas; Maxine Trowbridge, Founder & Editor-in-Chief, Pink Memo and Rachel Abrams, Associate Editor, CultureMap Dallas. Please VOTE for Oh So Cynthia as Dallas' BEST BLOG (#23) in D Magazine's annual Best of Big D poll. You can vote once a day, every day until May 12.